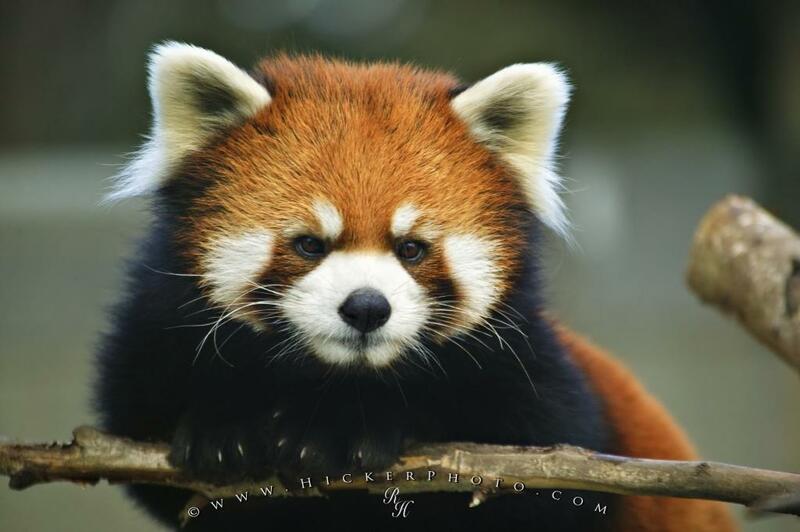 Stock photo of one of the mammals found on the Endangered Animal List a cute Red Panda. Stock photo of a mammal on the Endangered Animal List, the Red Panda. The Red Panda is a very cute animal and is usually found in the mountainous band from Nepal all the way into China and is now on the Endangered Animal List. This cute animal was just lounging around on a branch watching us as much as we were watching him. It's a real shame that animals like this find their way onto the endangered animal list. We photographed this Red Panda in the Edmonton Zoo. Portrait of a cute Red Panda (Ailurus fulgens) which unfortunately belongs to the endangered animal list.